The Queensland Racing Integrity Commission’s internal reviewer Kane Ashby has published reasons for rejecting an application on penalty from jockey Beau Appo on sexual harassment charges. 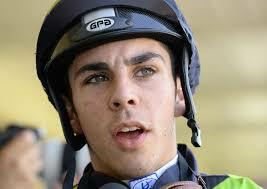 Appo was disqualified for six months with three months suspended after a protracted series of stewards hearings. In February, he was charged with sexual harassment of a person employed in the racing industry. The charge specified Appo sent text messages to a female licensee during a period from June to September last year which constituted sexual harassment. Appo, who pleaded not guilty to the charge, sought an internal review of the penalty. Ashby confirmed the stewards’ penalty and Appo can now appeal further to the Queensland Civil and Administrative Tribunal.